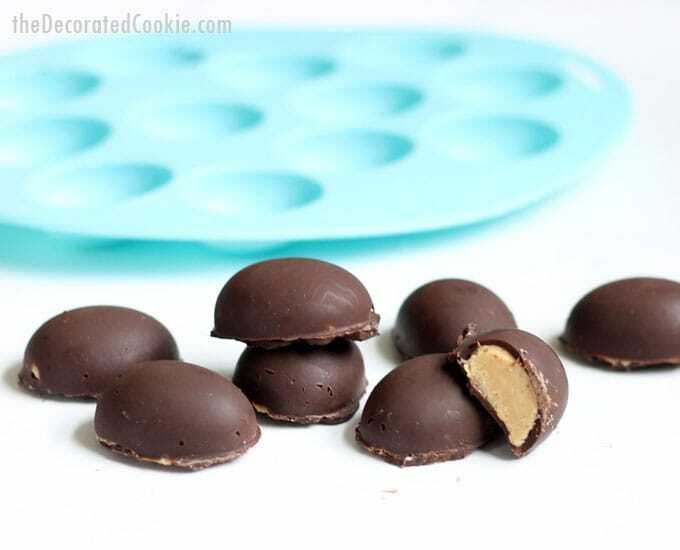 These delicious homemade Reese’s Peanut Butter eggs are so much better than store-bought and just the right size for the Easter bunny to nibble. 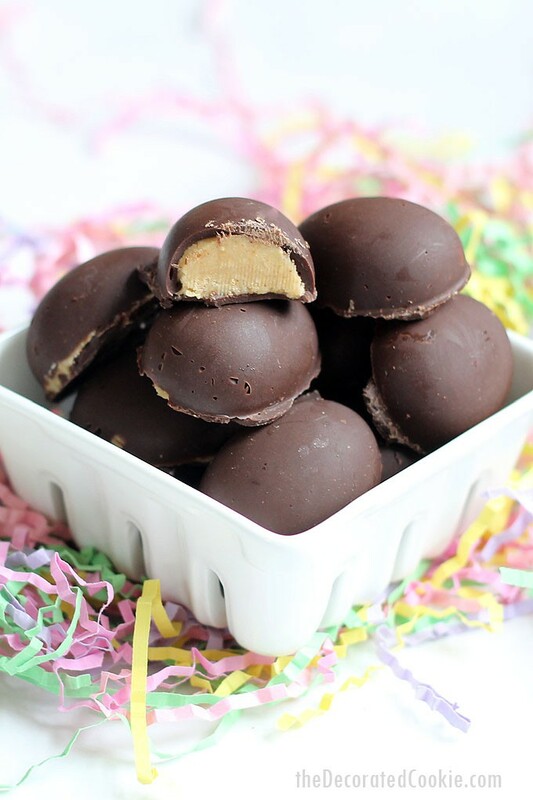 Ohmygosh these homemade chocolate peanut butter eggs are so good. My all-time favorite candy is Reese’s Peanut Butter Cups. And of course, at Easter time, Reese’s Peanut Butter Eggs. 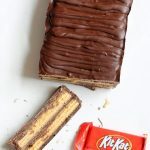 I’ve been making this homemade version of peanut butter cups for so many years, there was a time when I was just expected to bring them with me to every event. 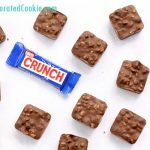 If chocolate peanut butter is your thing, check out this awesome, easy recipe for chocolate peanut butter fudge! The Reese’s Peanut Butter Cup was invented by candy-maker H. B. Reese in Pennsylvania in the 1920s. While working at a Hershey dairy farm, he reasoned that if Hershey could make so much selling candy, so could he. When he earned enough to buy the ingredients, he began making candy in his basement. He eventually bought a factory in 1926. He introduced the peanut butter cups in 1928 and it became his most popular candy. He always had a good relationship with nearby Hershey, and in 1963, the company was sold to Hershey. So, thank you, Mr. Reese, for your genius combination of chocolate and peanut butter. 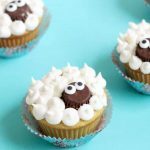 They came in handy when I made these lamb cupcakes for Easter, too. If you use the same mini Easter egg mold and you only buy one, you’ll need to do the eggs four times. For each round of eggs, melt ¾ cup chocolate. To coat the bottom of the mold will take ½ cup (to do this, I used a decorating bag to pipe the chocolate and then a spoon to coat the mold, but the decorating bag is optional). And to cover the eggs takes another ¼ cup. 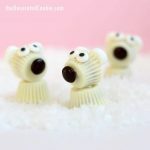 If you don’t have the Easter egg mold, or if you lose patience with waiting for the batches to harden, skip the mold altogether! Just form the dough into balls or your own eggs by hand. Then, melt all the chocolate at once and dip the entire ball or egg into the chocolate, remove with a fork and rest on a baking tray lined with wax paper. Your yield may be less and you may not use all the chocolate with larger balls or eggs, so just keep that in mind. 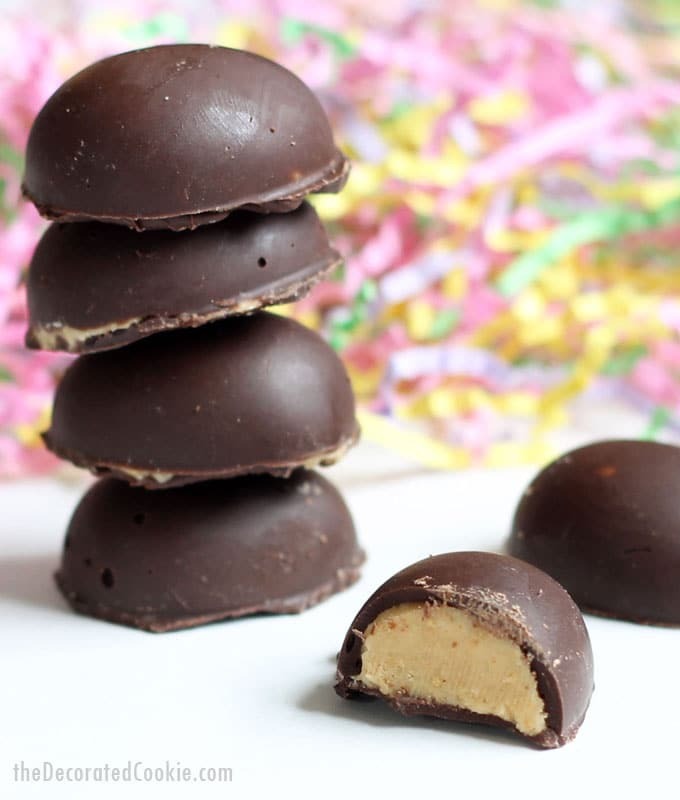 Whichever way you make them, homemade peanut butter eggs are just as addictive as the store-bought version. And they are available all year long. 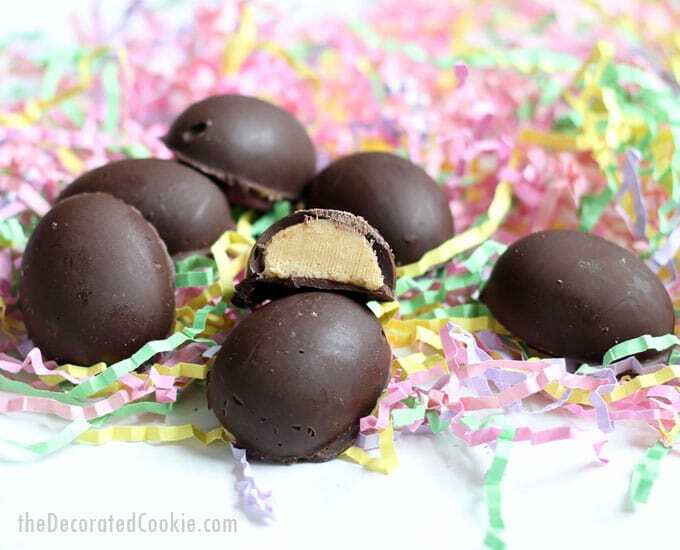 This post for homemade chocolate peanut butter eggs also appears on Food Fanatic.